Bytownite: Mineral information, data and localities. Named after its locality ("Bytown," now Ottawa, Ontario, Canada). 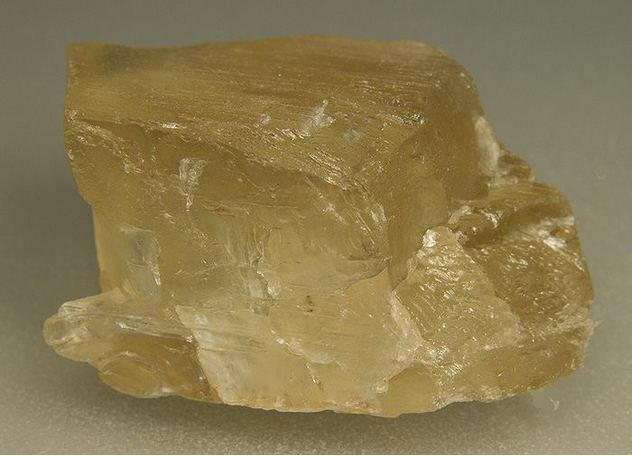 A plagioclase feldspar with an albite : anorthite molar ratio ranging from 10 : 90 to 30 : 70. The original material, a greenish-white substance, was found in a boulder near Bytown (now Ottawa), and later shown to be a mixture (Robert A. A. Johnston, 1915). This locality now appears to have been lost. Additionally, the original specimens are either extremely rare or no longer exist in collections. 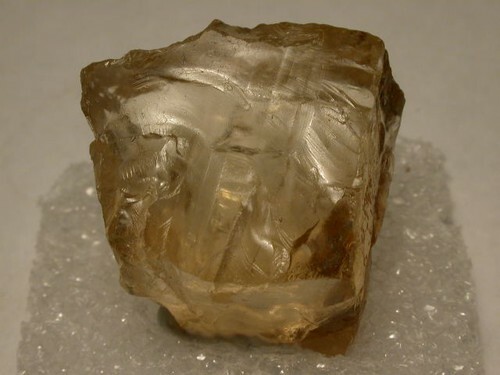 Gemmy feldspar pieces are, on occasion, falsely attributed to the original bytownite locality. Visit gemdat.org for gemological information about Bytownite. Pyrrhotite 3 photos of Bytownite associated with Pyrrhotite on mindat.org. Actinolite 3 photos of Bytownite associated with Actinolite on mindat.org. Anorthite 1 photo of Bytownite associated with Anorthite on mindat.org. Jonhston, R.A.A. "A list of Canadian Mineral Occurrences," GSC Memoir 74, 1915. The following Bytownite specimens are currently listed for sale on minfind.com. Weisberg et al., (2009). The Meteoritical Bulletin, No. 95. Meteoritics & Planetary Science 44, #3, 429-462. (March 2009). Telus, M., Huss, H.R., Nagashima, K. & Ogliore, R.C. (2014) Revisiting 26Al-26Mg systematics of plagioclase in H4 chondrites: Meteoritics & Planetary Science 49 (6): 929-945. (June 2014). Jiyue Xue, Yanfeng Cai, and Xiaoning Zhao (1999): Geological Journal of China Universities 5(2), 170-174. Bao Peisheng, Xiao Xuchang, Su Li, and Wang Jun (2007): Science in China, Series D (Earth Sciences), 50(5), 660-671. M. Christophe Michel-Lévy, Bull. Minéral. , 1987, 110, pp. 449-458. Lacroix, A. (1910): Minéralogie de la France et de ses colonies, Librairie Polytechnique, Ch. Béranger Editeur, Tome IV, 821. Mason B., Jarosewich, E. & Nelen, J. A. (1979) The pyroxene-plagioclase achondrites. Smithson. Contrib. Earth Sci. 22: 27-45. Mason, B. (1963). The Hypersthene achondrites. American Museum Novitates, #2155, 13 pages. Powell, B. N. (1971). Petrology and chemistry of mesosiderites—II. Silicate textures and compositions and metal-silicate relationships. Geochimica et Cosmochimica Acta 35: 5-34. S. Tonarini et al. , Eur. J. Mineral. , 1996, 8, pp. 1153-1173. Mason B., Jarosewich E. & Nelen J. A. (1979) The pyroxene-plagioclase achondrites. Smithson. Contrib. Earth Sci. 22: 27-45. ; Steele, I. M. & Smith, J. V. (1982) Ion probe analysis of plagioclase in three howardites and three eucrites: Lunar and Planetary Science Conference 12B: 1281-1296. Mason B., Jarosewich E. & Nelen J. A. (1979) The pyroxene-plagioclase achondrites. Smithson. Contrib. Earth Sci. 22: 27-45. ; Bukovanská, M., Ireland, T. R. & El Goresy, A. (1991) Zircons in Padvarninkai Brecciated Eucrite: Abstracts for the 54th Annual Meeting of the Meteoritical Society. LPI Contribution 766: p.39. Steele, I. M. & Smith, J. V. (1982) Ion probe analysis of plagioclase in three howardites and three eucrites: Lunar and Planetary Science Conference 12B: 1281-1296. Labotka, T. C. & Papike, J. J. (1980) Samples of the regolith of the eucrite parent-body: Petrology of Frankfort, Pavlovka, Yurtuk, Malvern, and ALHA 77302. Lunar and Planetary Science Conference XI: 1103-1130. Alfonso, P., Canet, C., Melgarejo, J. C., MATA-PERELLÓ, J. M., & Fallick, A. E. (2012). Stable isotope geochemistry of the Ulldemolins Pb-Zn-Cu deposit (SW Catalonian Coastal Ranges, Spain). Geologica Acta: an international earth science journal, 10(2). Carlos Anaut analysis (Baikal Geo). Jochen Hintze (2010) Lapis, 35, #12, 15-19. Mark, J.E. (1900) Notes on the Geology of the English Lake District. Proceedings of the Geologists' Association, Vol. 16, No. 9, p.455. Miller, J. A., & Mohr, P. A. (1965). Potassium-argon age determinations on rocks from St Kilda and Rockall. Scottish Journal of Geology, 1(1), 93-99. Ivanova, M. A., Kononkova, N. N. & Petaev, M. I. (1993) Silica-bearing objects in the Dengli H3.8 and Gorlovka H3-4 chondrites: Twenty-Fourth Lunar and Planetary Science Conference. Part 2: G-M:p. 697-698. (March 1993). Anthony, J.W., et al (1995), Mineralogy of Arizona, 3rd.ed. : 330. Daly, John W. (1935) Paragenesis of mineral assemblages at Crestmore, California. American Mineralogist: 20: 638-659. Woodford, A.O., Crippen, R.A., and Garner, K.B. (1941) Section Across Commercial Quarry, Crestmore, California. 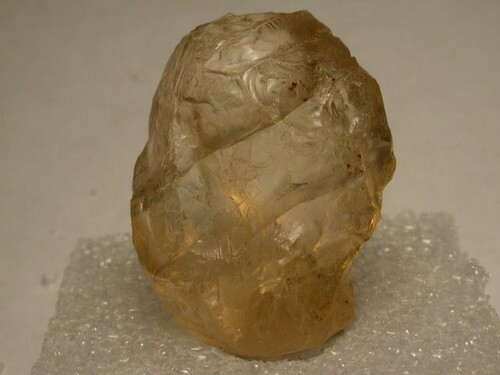 American Mineralogist: 26: 351-381. King & Foord, 1994. Mineralogy of Maine, V.1, p.272.